Tom Morris Sr., better known today as Old Tom Morris, was a 19th-century pioneer of golf and a multiple winner in the early history of the British Open. He is considered one of the most legendary figures in the history of golf. Nickname: "Old Tom," of course. Tom Morris Sr. is called "Old Tom" to distinguish him from his son, who is most commonly referred to as Young Tom Morris. Morris won the British Open in 1861, 1862, 1864 and 1867 - the second, third, fifth and eighth times, respectively, the Open was played. 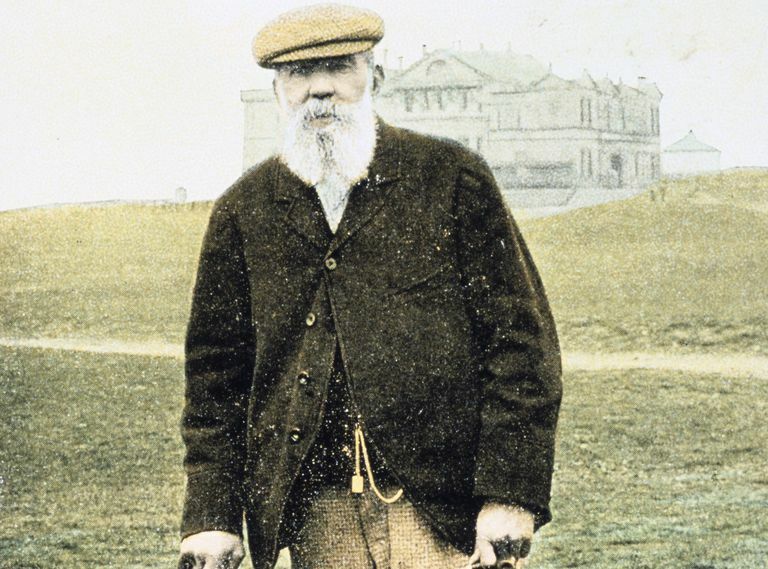 Old Tom Morris is perhaps the most influential figure in the history of golf. He was a great player, clubmaker, greenkeeper and golf course designer. When the gutta percha golf ball arrived on the scene, however, the two split. Robertson demanded that Morris join him in condemning the new ball, thus protecting the featherie business. Morris recognized the guttie as the future, and left Robertson's side in 1849. Morris left St. Andrews to join Prestwick, where he served as "keeper of the greens." Prestwick hosted the first British Open in 1860, where Morris finished second to Willie Park Sr. But Morris went on to win four Open Championships during the decade. In 1865, he returned to St. Andrews - to the links we now know as The Old Course - as greenkeeper - a position he held until 1904 - and established a clubmaking shop near the 18th green. The 18th green is today named in honor of Old Tom Morris. Morris pioneered many of what are now considered the first modern approaches to greenkeeping. He also was one of the first great course designers, taking a role in designing or remodeling around 75 courses according to the World Golf Hall of Fame. Among those Old Tom helped shape are Prestwick, Royal Dornoch, Muirfield, Carnoustie, Royal County Down, Nairn and Cruden Bay - still some of the most famous golf courses in the world. Morris' son, who won four British Opens himself, was born in 1851. But Young Tom Morris died on Christmas Day, 1875, just a few months after his wife and child died during childbirth. During Young Tom's life, the Morris father-and-son frequently partnered one another in challenge matches against other teams, and particular rivals were the Parks. Like the Morrisses, Willie Park Sr. and Willie Park Jr. were both British Open champs, as was Mungo Park, the brother of Willie Sr.
Morris Sr. outlived his son by 33 years. Old Tom Morris still holds two British Open records: oldest champion (age 46 in 1867) and largest margin of victory (13 strokes in 1862). He played in every British Open until 1896, 36 consecutive tournaments. Morris did not retire as greenkeeper of The Old Course until 1904, when he was 83 years old. 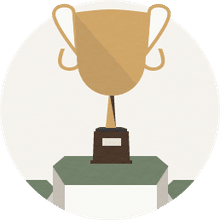 The World Golf Hall of Fame describes Morris' golf game thusly: "He had a slow, smooth swing and was fiercely competitive; his only flaw was a difficulty with short putts." Amateur golfer and writer Horace Hutchinson about Morris: “One of the most remarkable men - best of men and best of golfers - that ever missed a short putt. ... He remains, through all the advertisement, exactly the same, simple and kindly." Golfer Andrew Kirkaldy: "Old Tom was beloved by everybody." In 1899, Old Tom Morris took on an apprentice greenkeeper at St. Andrews. That apprentice was Donald Ross, the future golf design genius. In 2007, the book Tommy's Honor: The Story of Old Tom Morris and Young Tom Morris, Golf's Founding Father and Son (buy it on Amazon), by Kevin Cook, won the Herbert Warren Wind Book Award as best golf book of the year. In 2017, the book was turned into a golf movie, also titled Tommy's Honour. The Soul of St. Andrews: The Life of Old Tom Morris, by by William Tulloch (buy on Amazon). Originally published during Morris' lifetime, so not an up-to-date look at the legend - but a glimpse into how Morris was viewed while still alive. There's also The Scrapbook of Old Tom Morris (buy on Amazon), compiled by David Joy, which presents photos, letters, contemporary newspaper articles and more from and about Morris' life.